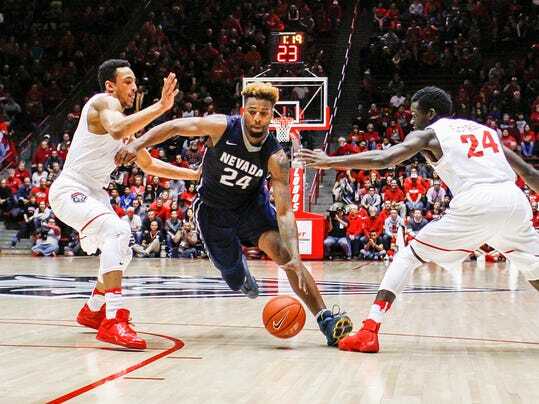 ALBUQUERQUE, N.M. (AP) — Jordan Caroline hit the game-winning 3 with two seconds left in overtime and Nevada rallied with nine 3-pointers in the closing minutes of regulation for a remarkable 105-104 victory over New Mexico on Saturday night. The Wolf Pack (14-3, 3-1 Mountain West) stormed back from 25 points in the second half and from five points in overtime, with Caroline finishing with a career-high 45 points, 13 rebounds, nine assists and five blocks. It was the most points scored by an opponent in the Pit’s 50-plus years.